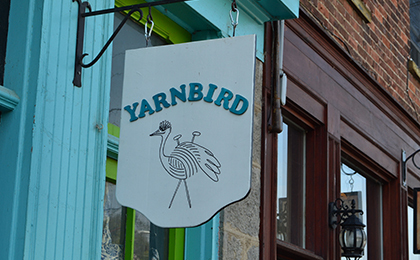 Nested into a nook amongst the Mill Street West shops is the Yard Bird, a store of handmade children’s clothing from adorable seasonal hats and toques to sweaters, blankets, coats and more. Made with a selection of imported, domestic and exotic yarns, custom-orders are also welcome. For the knitters, the store carries a selection of knitting supplies, including needles and patterns.